Saleh is only 25, but he's already a veteran of two World Games. 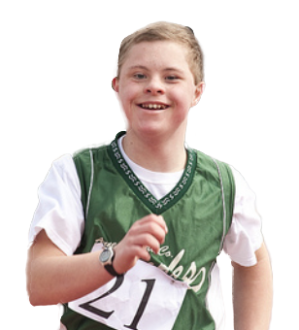 He started with Special Olympics sports as a teenager, and soon proved himself in local competitions. In 2011, he was chosen for the World Summer Games in Athens. He bowled his way to gold -- twice! Saleh also competed at the 2015 World Games in Los Angeles, bringing home even more medals. Since joining Special Olympics, Saleh's family has seen him grow in skills and confidence. Ahead of these first World Games being hosted by his country, he has taken on a more active role by making public appearances and speeches to publicize the Games. He's also continued his high level of sports training and competition, and earned more gold at the 2018 Special Olympics MENA Games in Abu Dhabi. He's ready for the intense competition -- and is ready to win yet another gold medal for UAE.